NATA Executive Vice President Bill Deere and Jorge Castro, Founder and Principal of Castro Strategies, LLC, discuss the release of the Trump Administration/Congressional Republican framework for reforming the tax code, its potential impact on aviation businesses and whether the proposal holds the key to finally resolving the tax treatment of aircraft management services. Castro has a unique combination of Executive and Legislative Branch experience having held senior positions at the Internal Revenue Service (IRS), U.S. Senate, and House of Representatives and serves as an advisor to NATA on tax issues. Jorge Castro is Founder and Principal of Castro Strategies, LLC, a tax consulting and lobbying firm in Washington, DC. Jorge has a decade of high-level government experience working on domestic and international tax issues at the Internal Revenue Service (IRS) and Congress. Until 2013, Jorge served as Counselor to the IRS Commissioner, where he was a senior advisor and collaborated with the U.S. Treasury Department on a variety of priority guidance projects. He also led the IRS’s international tax efforts at the Organization for Economic Cooperation and Development (OECD). Before the IRS, Jorge served as Senior Counsel to Senator John D. Rockefeller IV and Congresswoman Stephanie Tubbs Jones, advising them on tax policy issues before the Senate Finance Committee and the House Ways and Means Committee. In November 2008, Jorge was appointed to President Barack Obama’s Presidential Transition Team, where he was a member of the Economic and International Agency Review Working Group. Before working in Congress, Jorge practiced tax law at a leading law firm. A native of Lima, Peru, he received his BA from The George Washington University and his JD from the University of Wisconsin Law School. 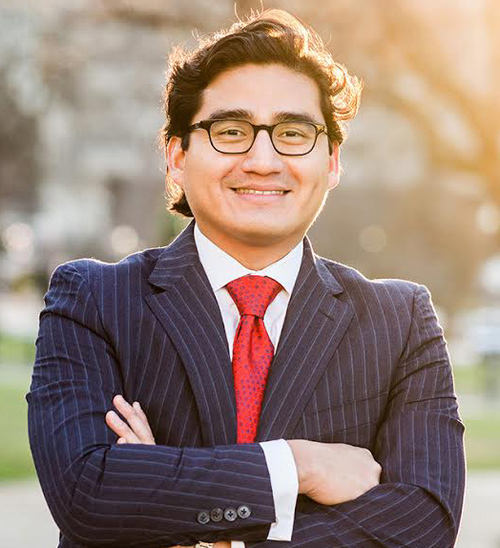 Jorge is currently an Adjunct Professor at the Catholic University Columbus School of Law, where he teaches a course in the Law and Public Policy Program. The National Air Transportation Association (NATA) has been the voice of aviation business for over 75 years. Representing nearly 2,300 aviation businesses, NATA’s member companies provide a broad range of services to general aviation, the airlines and the military and NATA serves as the public policy group representing the interests of aviation businesses before Congress and the federal agencies. For more information about NATA, please visit www.nata.aero, www.twitter.com/nataaero or www.facebook.com/nataaero.